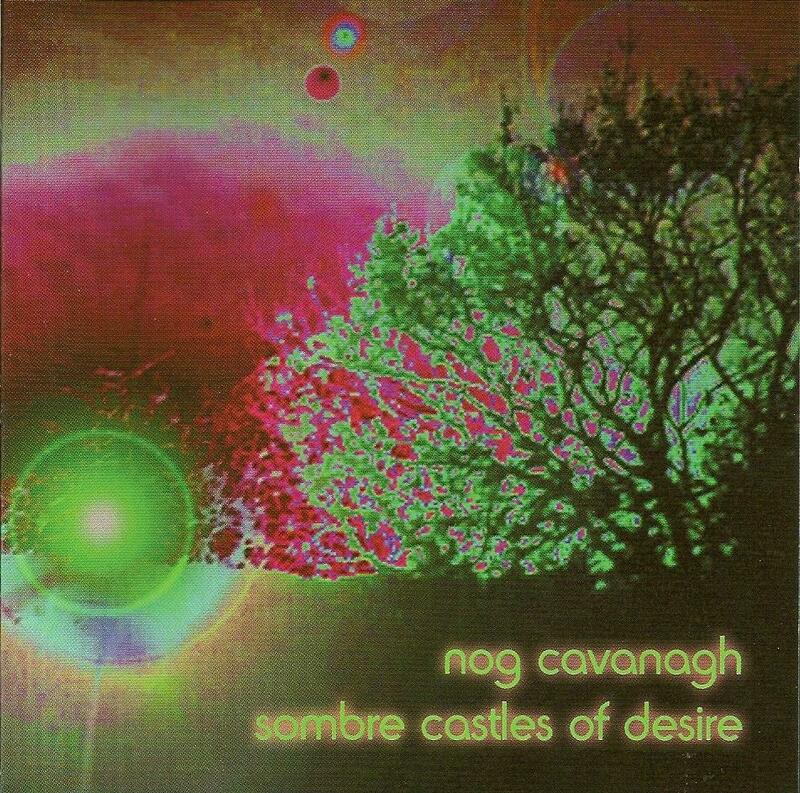 Nog Cavanagh - "Sombre Castles Of Desire"
Nog Cavanagh is an individual musician whose real name is Nigel - he got the name Nog as a child. Sombre Castles Of Desire is Nog's second CD and it's said to be pretty similar to his first disc Everything Leads To Here released in 2004 (Reviewed in AI #32). It's just that Sombre is noted to be a bit better produced with a fuller sound. Some of Nog's musical influences are Hawkwind, Led Zeppelin, Electric Prunes, The Doors, Love, Todd Rundgren, Faust, Can, Chrome, HP Lovecraft, Pretty Things and Dead Can Dance. Very impressive, I thought. Nog has experimented with loops, samples and sequenced programs to create - what he considers (you'll hear it for yourself on this CD) his own original music. He plays bass, electric guitar, digital synthesizers, moog, theremin and any other gadgets and gizmos he can lay his hands on. The result is a fine work of pure ambient bliss - as you thoroughly soak your senses, mind and soul into tracks like the eight-minute true ambient gem Astraglyde, the head-floating A Chemical Taste Of The Tongue, the title cut Sombre Castles Of Desire and Looks Like Rain (simply beautiful). Nog's music has in fact been described as being like a soundtrack for a fictitious movie. Other worthy tunes include Pulsar as this song would sound great in certain night clubs after 2 am, the intricately-played A Ghost On The Wind (nearly put tears in my eyes) and the seven-minute EL34 which reminds me of Hawkwind during their Electric Teepee era. Highly recommended for fans and followers of the previously mentioned Hawkwind, Ozric Tentacles, Fink Floyd (pre-The Wall) and Tangerine Dream. Most fans of ambient and psychedelic in general should really get something good from this CD.